It was a fun week leading up to Marathon Sunday. We went to the expo Thursday night : D And went to the Marathon Post Party on Saturday it was a fun evening full of music, pasta, and fireworks. Humbe missed watching the fireworks with us which really bummed Miguelito out (you will see his face in the pic he was crying because he wanted to watch the fireworks with his daddy, I don't lie when I say we are a very close family and Miguelito loves his daddy). 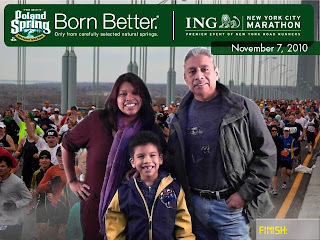 Sunday I got up at 4:00am with Humberto, he got ready and off he went to take the bus to the start of the race - Staten Island! 361 Days 20 Hrs 10 Mins - Go Humbe Go!!!!!! My sneaker/high heel ; D Isn't my Princess shoe spectacular!! 4 comments on "Marathon Weekend"
i am SO proud of your husband!!! i can't even imagine running for an hour... let alone anything longer! what a proud wife you must be-- should be! Wow! what an exciting weekend! Great accomplishments Humbe has made on his runnings just like Micaela said I can't even imagine running for an hour!! I only run after Xavi now! 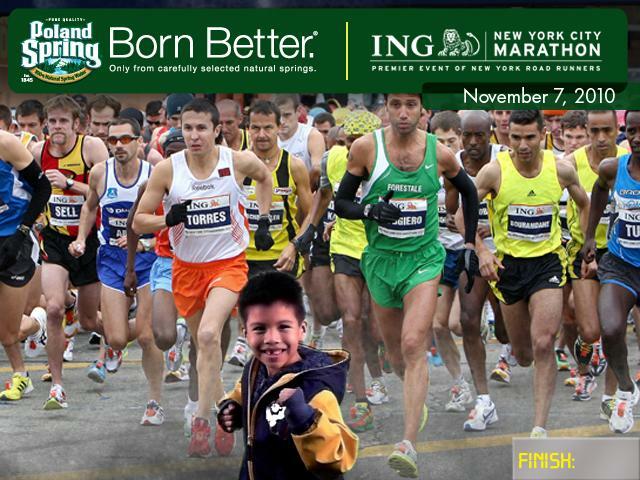 That photo of Miguelito at the start line is great, he's gonna get ran over! ouch! You have a great family may God keep blessing you all Kary! I LOVE this post SO much!!! Congratulations to your husband's AMAZING accomplishment!!! 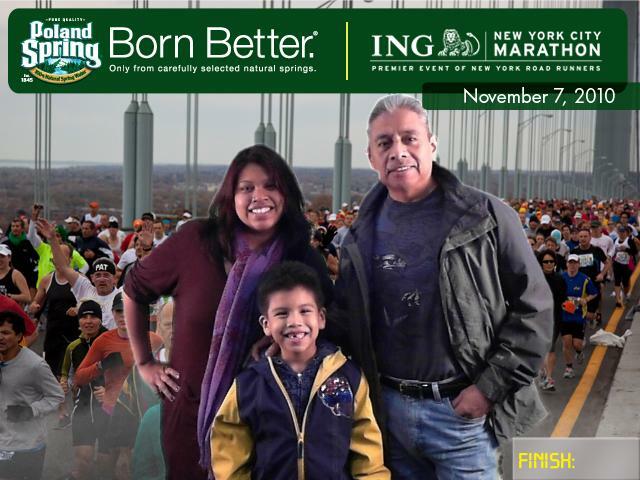 I can't even imagine being able to do the NYC marathon, let alone THREE times!!! That's so inspiring!! I know that the NYC marathon is a lot of people's aspiration and on the Today Show they were talking about that and I kept thinking "I KNOW someone who is running in that marathon today!!!! How cool is that?!?!" :) Well I feel I know your husband through you anyway :) haha I LOVE all the photos of your beautiful family!!!! I can see all the love your family has for each other and I love that so much. I just want to scoop Miguelito up and give him such a big hug! He's such a cutie pie! One day he's going to be the one running in the marathon just like his daddy and just like his Abuelito! 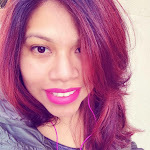 @ Clau - Thank you so much Clau from me and Humbe for the beautiful comment, I am so happy to be blessed with so much love and my family. You also dear friend have a beautiful family that is full of unity,values, and lots and lots of love. May God always bless you all always. @ Marz - Your comment had me at "Hello" - lol.